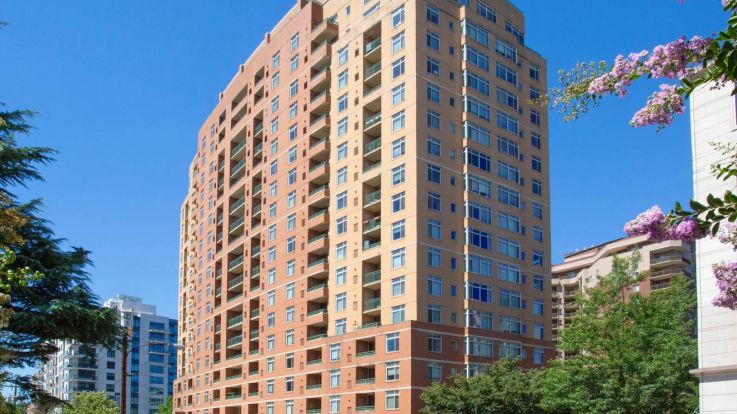 Our Virginia Square apartments are conveniently located in Arlington just outside of Washington DC. Commuting to DC is simple by using the Orange Line of the Metro. Virginia Square is between the Clarendon and Ballston neighborhoods of Arlington but offers a very different feel than the two. Virginia Square is known for its ‘village’ feel while still offering everything that you may need. Living in our Virginia Square apartments gives you the opportunity to enjoy everything the area has to offer. Quincy Park is a popular destination for those who like to remain active. The park has picnic areas, a playground, sports fields and running trails. The neighborhood also offers a handful of local legend restaurants which have been around for years. Our Virginia Square apartments offer community amenities, such as proximity to the Virginia Square Metro station, concierge, fitness center, and parking. In unit amenities can include high ceilings, fireplaces, central heat and air, and washer and dryers. Browse through our other Arlington apartments if you cannot find what you are looking for in our Virginia Square apartments.